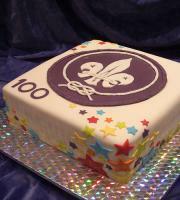 Scouting Nederland celebrates it's 100 years of existance. Via HAM Radio a special award can be obtained. The following text is a free interpretation of the dutch outlined rules by Erwin, PA3EFR, on request from Jochen, DK8ZM. 5. By special callsign claimed points can only happen once, regardless of the different periods of the year, or with various additions (/ P / M and / or / J). 6. Communication can be made on all bands and all modes. Communication through a repeater, EchoLink, tropo, Meteorscatter and/or the moon are also permitted. 7. Amateur-listeners may also participate. 9. Transmitters and listening stations from outside the Netherlands are welcome to participate for this award. They should however include sufficient euros or U.S. dollars to add to the postage of their self-addressed envelope. 11. After providing the 250 awards and badges the organization has the right to send awards without a badge. Now, have you met the requirements for the award? Request it! A. The applications of the award is possible by sending an SASE (self-addressed, stamped envelope) in which at least an A5 size piece of paper fits. B. Insufficient or stamped envelopes will not be answered. C. The SASE within the Netherlands should have postage of 88cent (2009 prices). D. To determine the postage to the Netherlands from abroad it is assumed to be 50 grams. PA100BEVER, PA100WELP, PA100SCOUT, PA100EXPLO and PA100ROVER by several amateur on different days, different times and from different locations activated. PA100BP will be active during several weekends thoughout the year (see www.QRZ.com and www.PA3EFR.nl) and will provide points during the activation of PA100SLJ and PA100SCOUT. 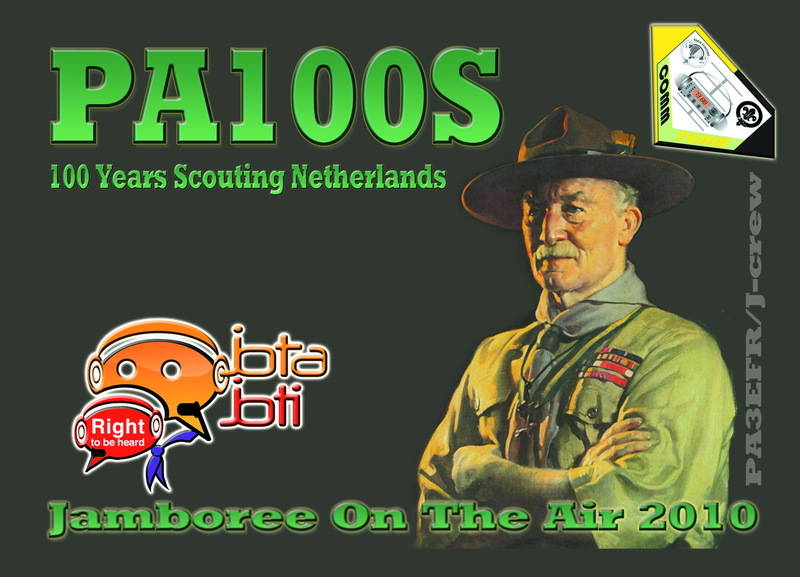 Keep an eye/ear on PA100SCOUT which is going to be active during the Dune March on the 10th April 2010. 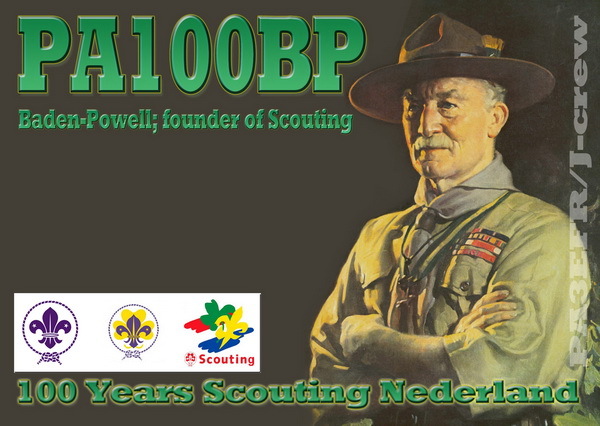 PA100SN will be active during rural activities (scouts2day, beaver doedag, jongerentak event, etc) . 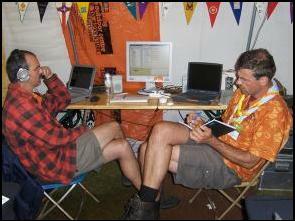 PA100JAM will be activated during the JOTA-JOTI. PA100J will be activated during the JubJam. 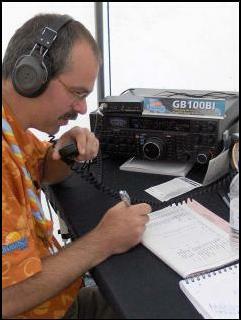 Not only will PA100JAM be active during JOTA, many more special calls can be heard during this event, such as PA100S. This station is the special call of the PA3EFR/J-crew, hosting JOTA now for 27 years in a row.